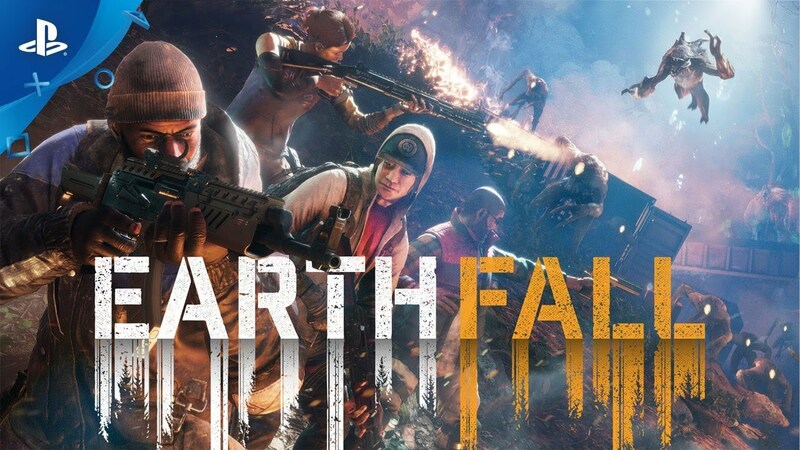 Earthfall is a four-player cooperative shooter that challenges players to survive hordes of ruthless alien drones and their inscrutable masters. They didn’t come in peace. They didn’t ask to see any leaders. When the meteors struck, they just leapt out and killed us. We used to fixate on ourselves and our own little homegrown concerns when the real problem -- the real threat -- was burning toward us across the dark. Burning and flexing its claws. And gnashing its teeth. Now they’re everywhere and there are so few of us left. But we might still be enough. Enough to make them pay. Enough to make them die. We can still take Earth back. We can still rise above extinction. The world ended, but the fight is just beginning! Traverse a ravaged and depopulated Pacific Northwest with friends or AI teammates in a relentless guerilla war against a dominating extraterrestrial force. Save yourself from the ever-changing horde and save what’s left of humanity. Drop in, drop out and engage in classic four-player cooperative gunplay inspired by the greatest co-op games of our time. Fight the horde, a procedurally generated alien menace that makes every gameplay session tense, exciting, fresh, and utterly lethal. Become one of four story-driven characters and battle through an alien-infested plot while utilizing advanced weaponry and printable guns. Strategically place barricades that dynamically zap or set the alien scourge on fire. Deploy automatic sentries to create perfect alien-killing zones, or place and strap onto mounted turrets to gain heavy firepower. ©2018 Holospark LLC. "Earthfall", the Earthfall Logo, "Holospark", and the Holospark logo are all trademarks and/or registered trademarks of Holospark LLC. All other marks or trademarks are the property of their respective owners. Developed by Holospark in Bellevue WA. All rights reserved.